People who have never really had to deal with courts will generally find themselves in awkward situations. They most likely panic and will not know what to do or where to go. The link between the lawyer and his client is much more than just money for services relationship. It is principally based on respect and trust. That’s why even lawyers you do not know will most likely refuse your case if they believe that they lack the time or the competence to serve you and defend your case properly, or if taking the case will force him to go against his convictions or if defending you will harm another of his clients. Except for the elite, who usually work for big companies, the big majority of lawyers is good enough and can be considered as highly qualified. 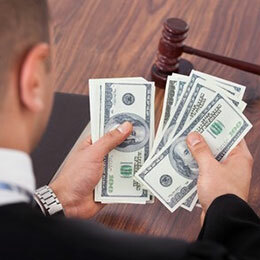 The lawyers have a deontology that will always favor the clients’ interests even above the lawyers’ ones. Consequently, be not surprised to see a lawyer turn down your request for different deontological reasons such as a lack of knowledge in a particular field. A lawyer cannot handle all the juridical particularities. However, many lawyers have an extra couple of years of studies that makes of them specialized lawyers in one or two domains. Well this is not really recommended. In fact, unless you have to, in cases that the lawyer is no longer available or he got unable to focus on your case as he was supposed to, you should stick to your lawyer. Of course, even if you change the lawyer, you will always have to pay the old one according to the contract that binds you. However, staying with your lawyer will give him, and you, by the same occasion, the advantage of fully understanding the case and all of its aspects.